Twistfix have now made the whole process of installing a membrane that little bit easier with the introduction of our installation guide. It provides you with step by step instructions about how to effectively install the membrane using the most effective method. The installation of a waterproof membrane is the new alternative to cement based renders which in the industry is known as basement tanking. Although this older method is still used it is becoming less reliable as water levels rise resulting in an increase in hydrostatic pressure. Applying this polyethylene sheet material, the membrane, can overcome this problem and proving that the substrate is suitable this membrane can be applied directly onto the walls without the need for any indepth preparation. 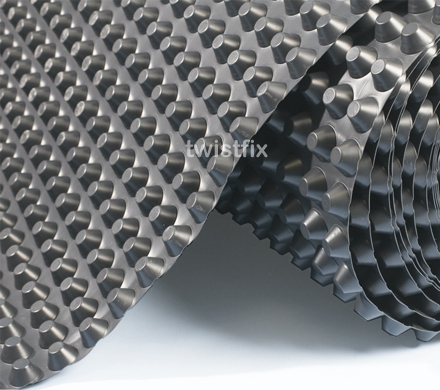 Twistfix has now made the installation guide for installing membranes available to everyone. So whether you just want to know a little bit about how the membrane is installed or whether you are a contractor who would like a bit of a re-fresh make sure you always have the guide to hand. Hopefully by the end of the guide, should you follow it through then you will have achieved a waterproof room through membrane installation. This is something which should not be taken lightly and if you do have any other questions regarding membrane installation then do not hesitate to get in touch. You can download your very own copy.